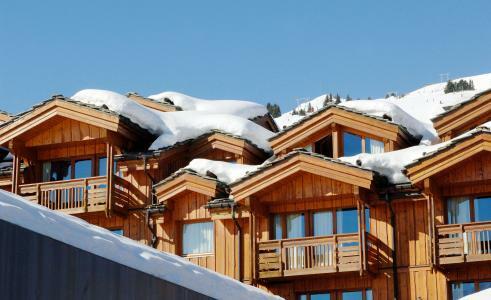 For a successful skiing holiday, rent the accommodation to Courchevel which is situated in the mountains Northern Alps, Savoie. This skiing resort is well known for its beautiful surroundings and breathtaking landscape. Booking to Courchevel is easy and convenient and can be done either by phone or via our website. 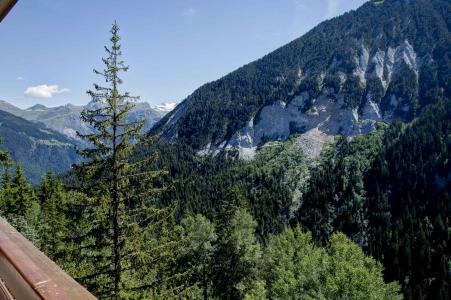 Each accommodation shown online is available for rent, just select the date and start date of your holiday at to Courchevel to find out the cost. Don't hesitate, now is the time to ski ! 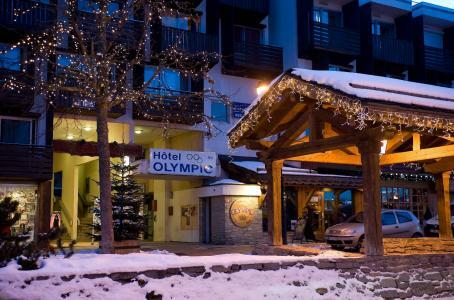 The Residence Roc is in Courchevel 1850 near the Bellecôte ski slope. The shops and amenities of the resort centre are just 200 m away. The residence has a lift and all its apartments are fully equipped to a high standard. Courchevel is part of the Three Valleys ski area. 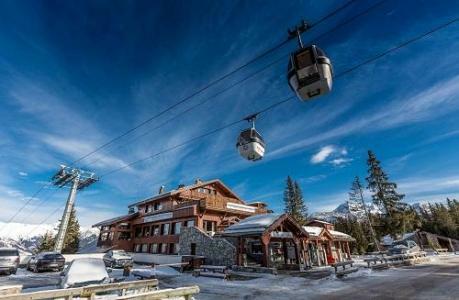 The three star Hotel New Solarium is in the heart of the Jardin Alpin area of Courchevel. There is a fantastic view of the valley and of the resort of Courchevel 1850. There is a direct access to the ski slopes from the hotel. The hotel prides itself as a quiet and welcoming retreat. There is a fine dining restaurant and a spa area, making your stay a relaxing escape from daily life. 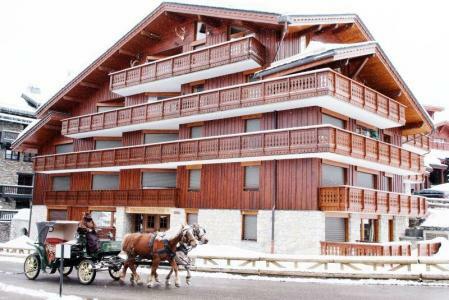 Located at the heart of the internationally renowned Courchevel 1850 ski resort, the Pierre & Vacances Les Chalets du Forum residence proposes spacious, comfortable and well designed apartments. Made up of three buildings of three floors, the residence has been upgraded to our "5-Suns" status, offering you improved services. 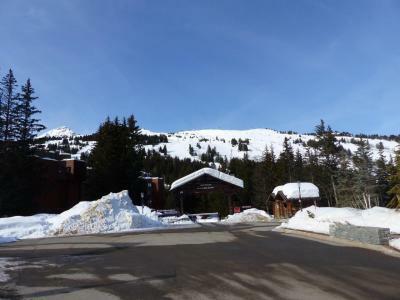 The ski lifts, ski slopes ans ski resort centre are situated at only 100 m from the residence. 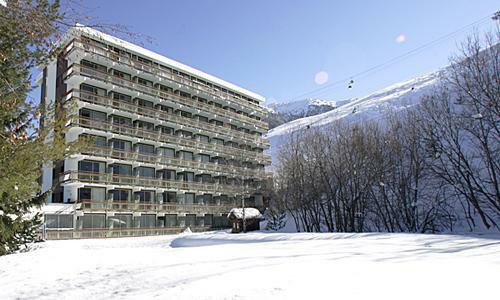 The Residence Jardin Alpin, with lift, is in Courchevel 1850, in the Jardin Alpin area of the resort, 150 m from the ski slopes and 2 km from the resort centre, shops and restaurants. The Jardin Alpin is a quite area surrounded by trees. There is a public car park next to the residence. The Pierre & Vacances "Le Moriond" residence is situated at only 100 from a chairlift and the ski slopes. 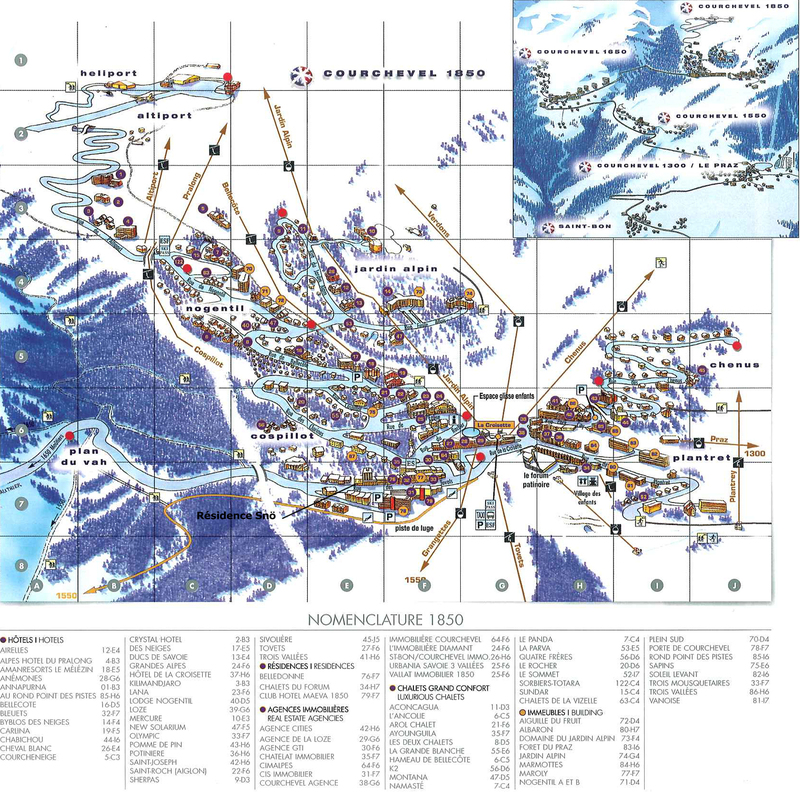 The heart of Courchevel 1650 ski resort with all the shops and services is located at about 250 m from the residence. The Residence Grand Sud in Courchevel 1650 (Moriond) is 300 m from the centre of the resort with its shops and other amenities. The ski lifts are 400 m away. 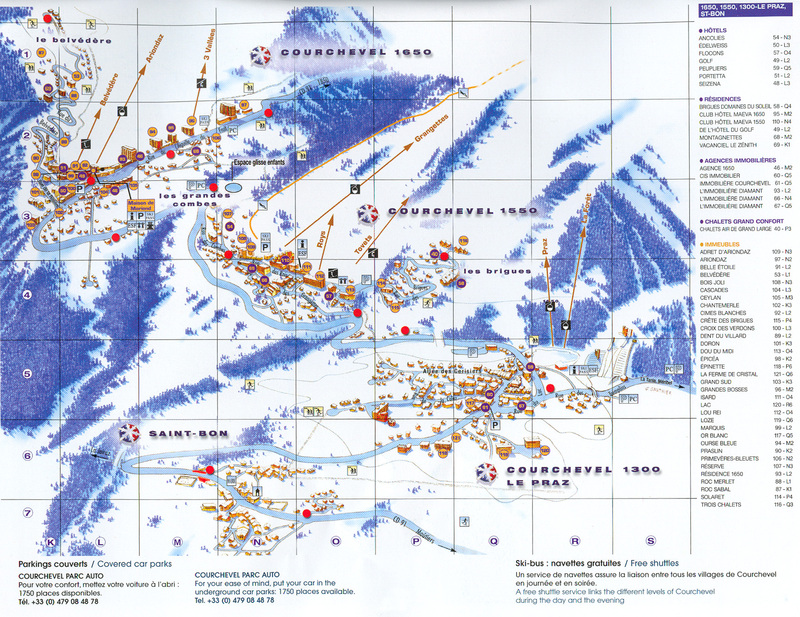 Courchevel is part of the Three Valleys ski area. 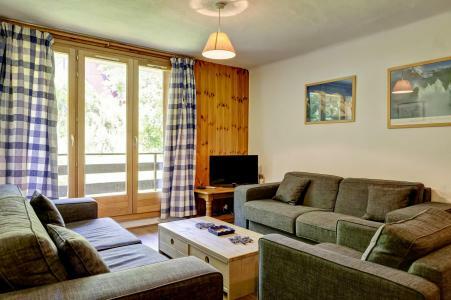 The Residence Ariondaz is in Courchevel 1650 (Moriond) at the foot of the ski slopes and near the ski lifts. The residence is equipped with a lift and is just 300 m from the resort centre with its shops and other amenities. Courchevel is part of the Three Valleys ski area. The residence Les Brigues is located in the quiet district of Brigues. 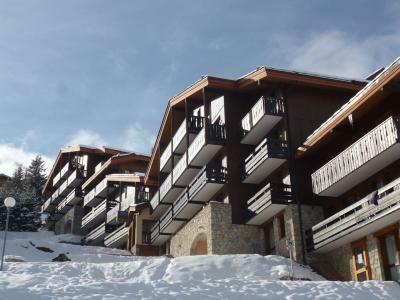 It is situated only 50 m away from ski slopes and 1000 m away from the resort centre and shops. The Residence Rocheray is in Courchevel 1550, 150 m from the ski slopes, ski lifts and all the amenities of the resort centre. The ski school is 250 m away. The residence is built in the traditional Savoyard style and is equipped with a lift. 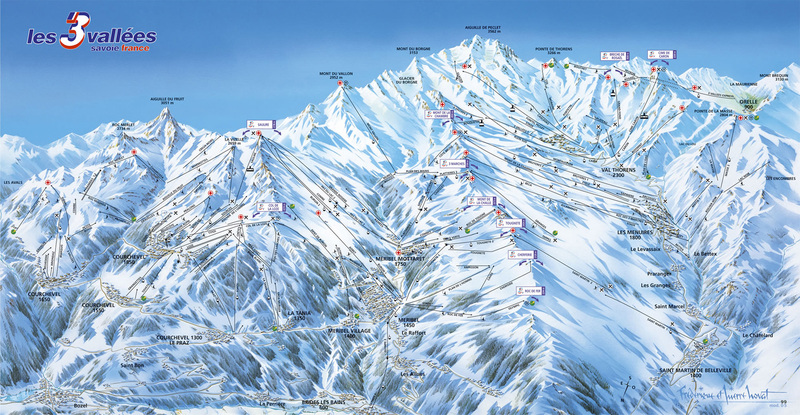 Courchevel is part of the Three Valleys ski area.